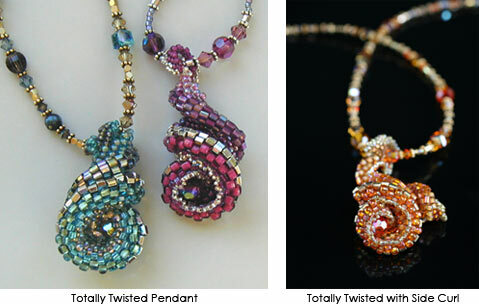 Learn a variation of flat peyote to create a unique twisted and curling pendant. Add accent beads and it becomes the centerpiece for a necklace or a brooch. Each kit has enough beads and directions for 2 different pendant designs. Instructions with a full color photo of the project can be purchased for $25, in PDF format.